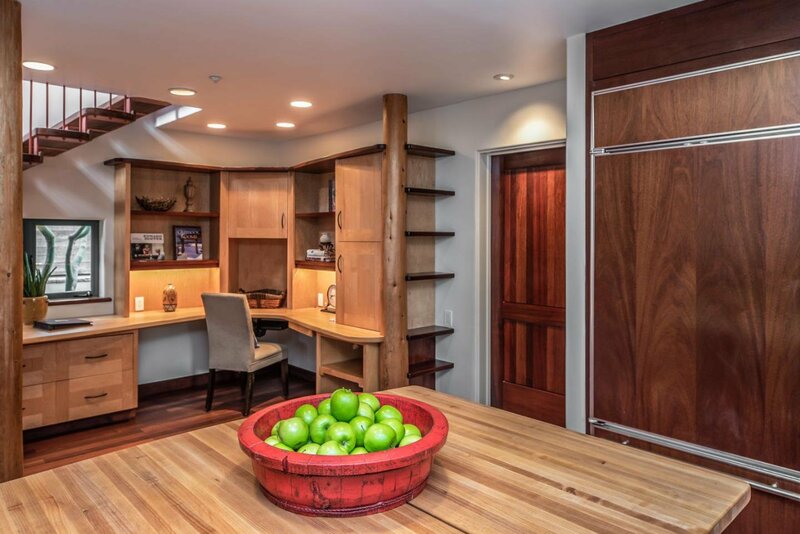 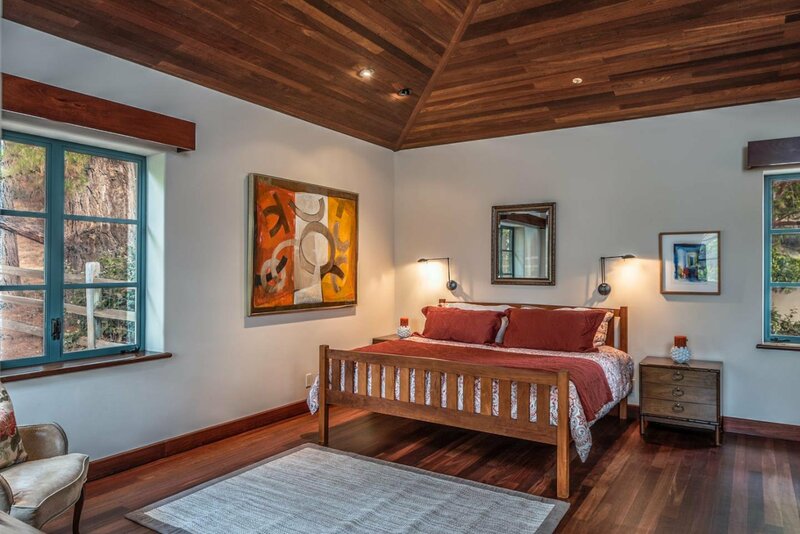 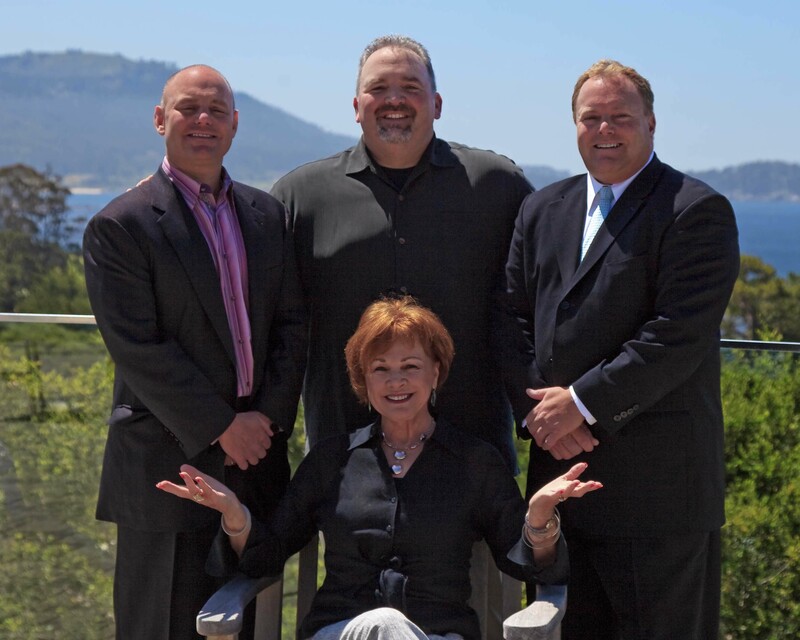 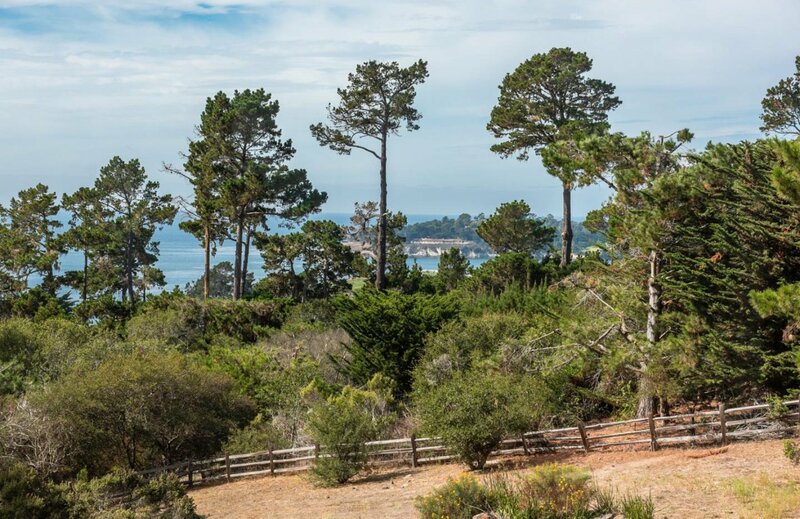 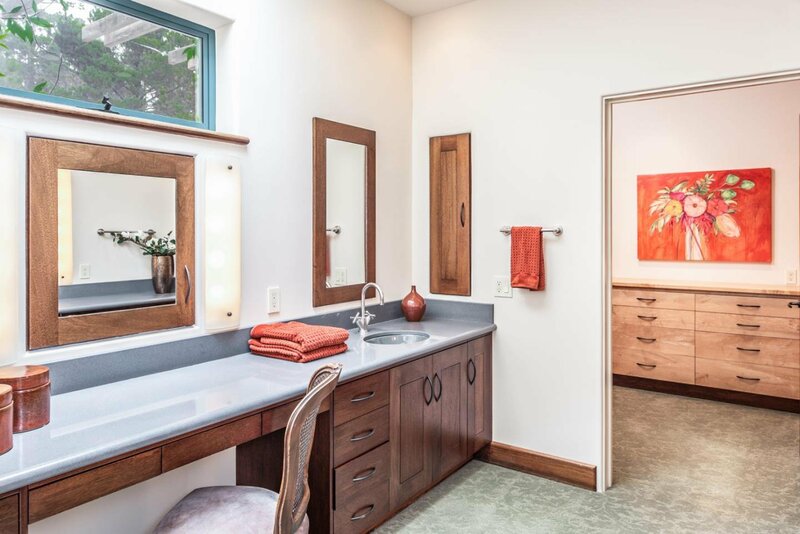 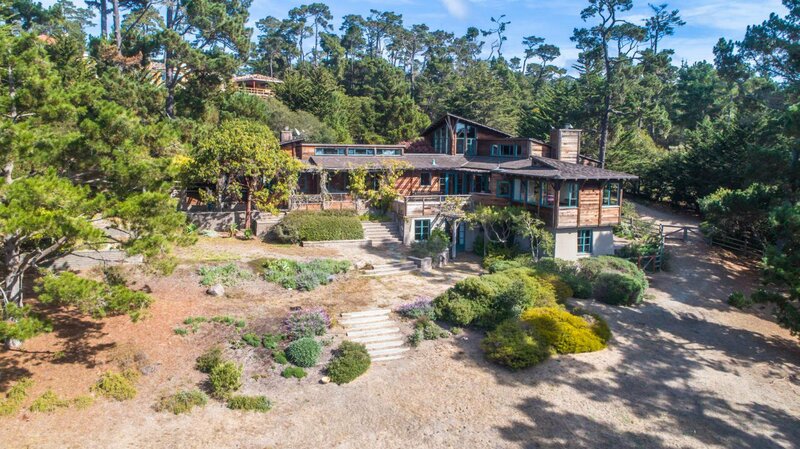 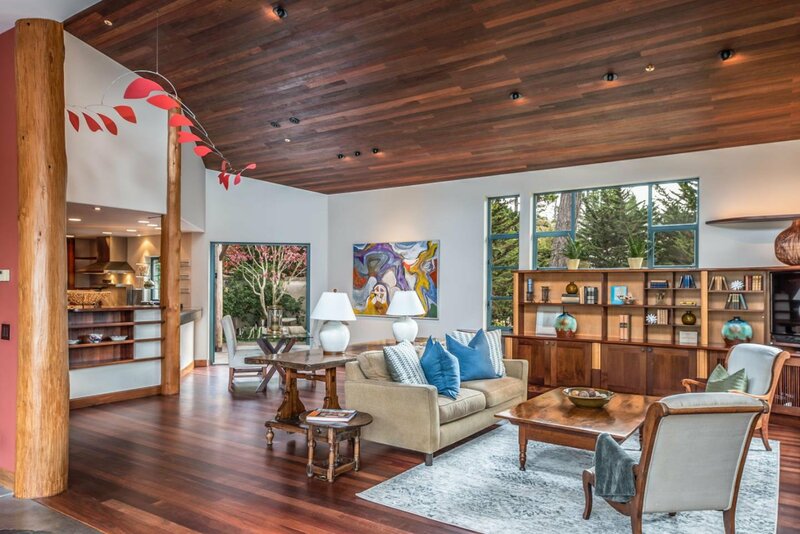 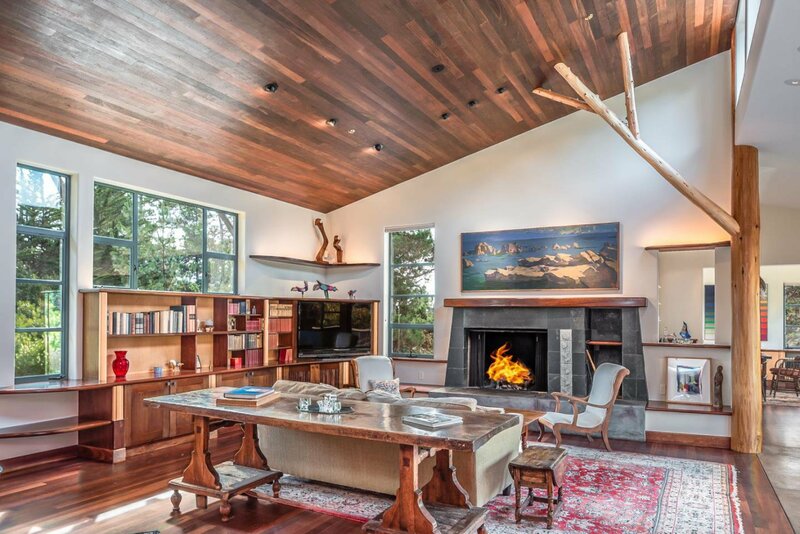 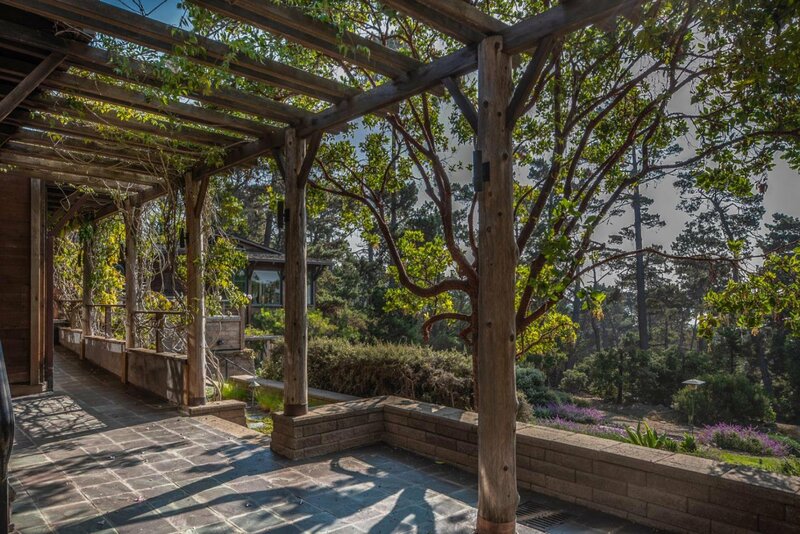 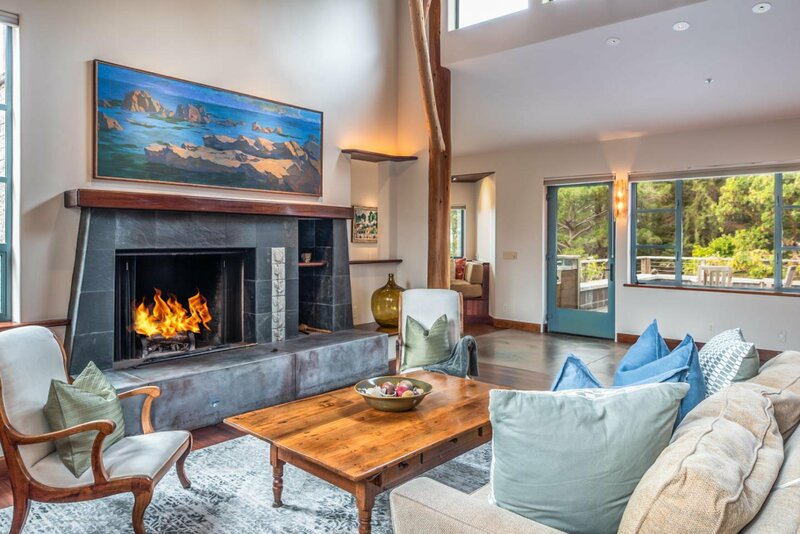 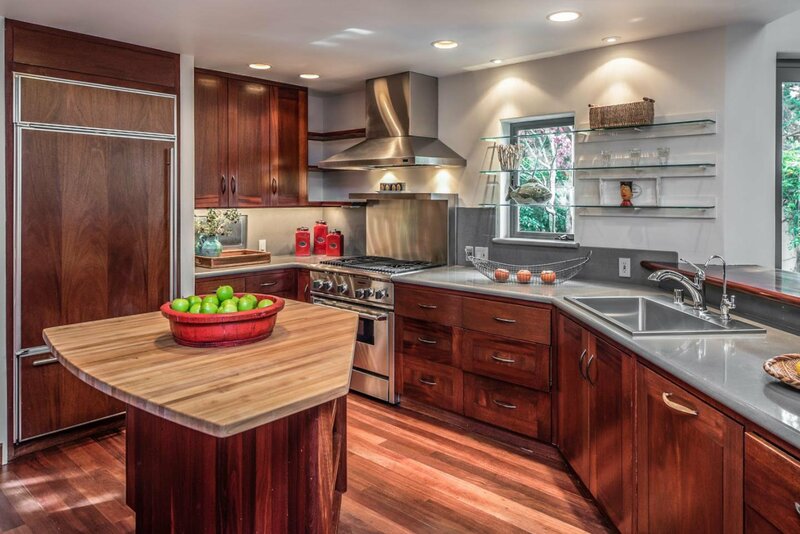 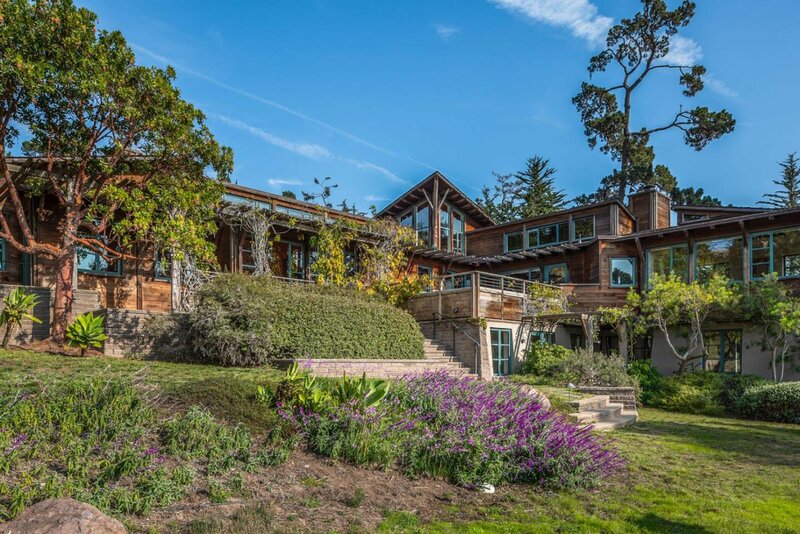 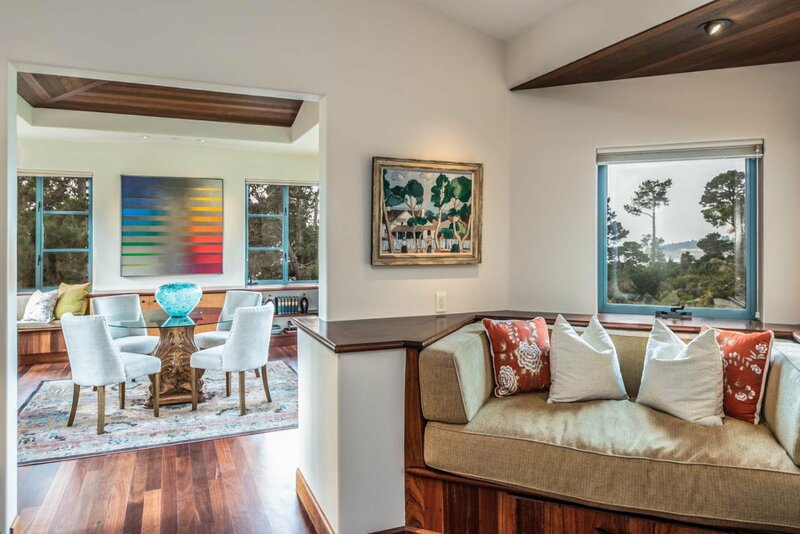 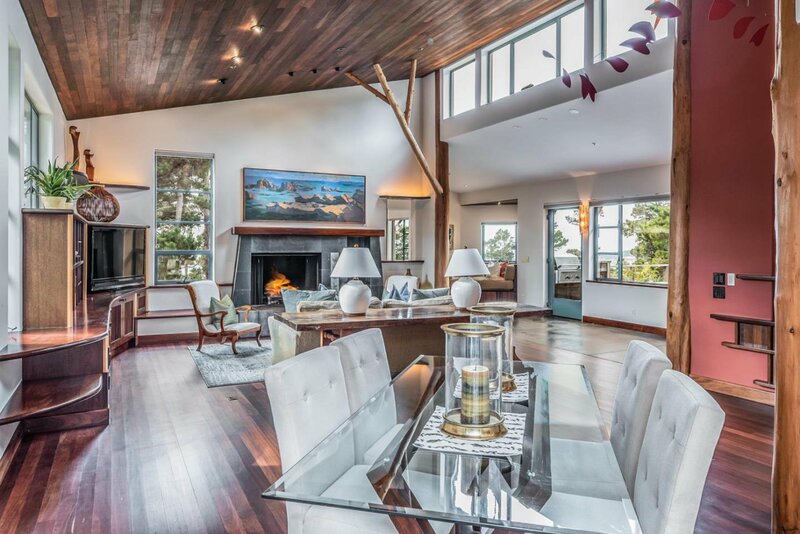 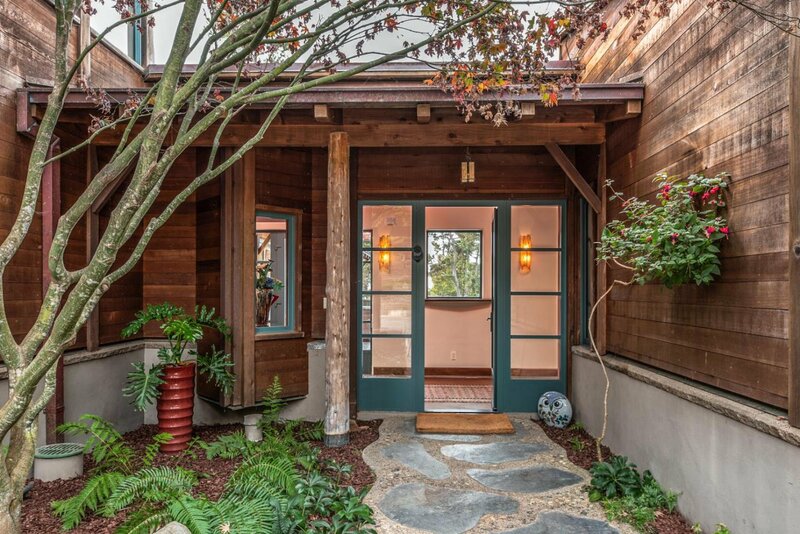 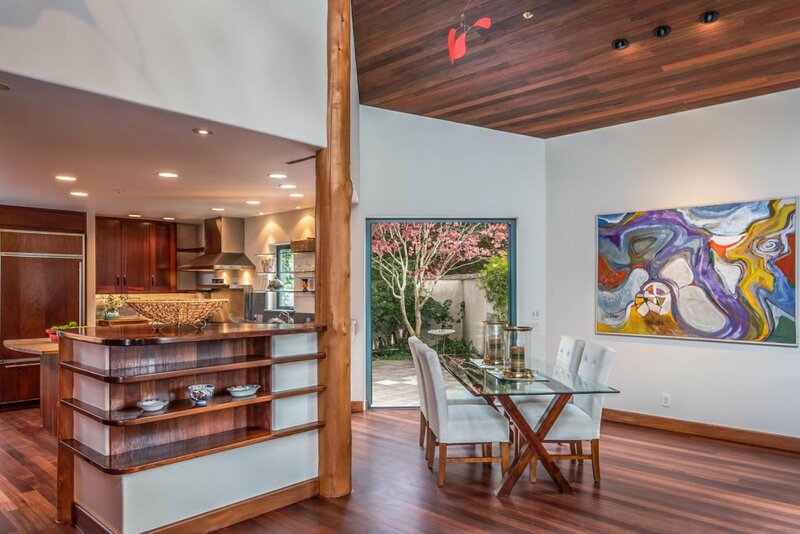 Privately located in the Macomber Estates in Pebble Beach, this timeless contemporary has been sustainably built and masterfully designed to complement its natural forested 3-acre setting using natural materials including inlaid jade and reclaimed wood to root the home to its surrounding environment. 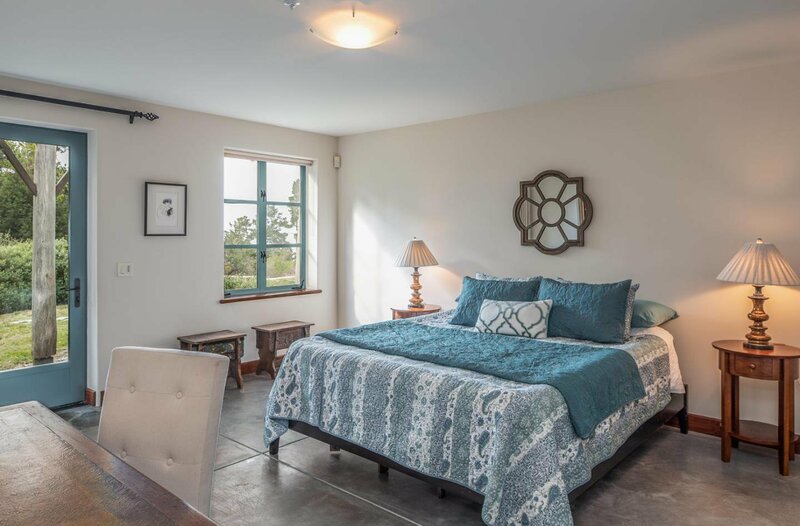 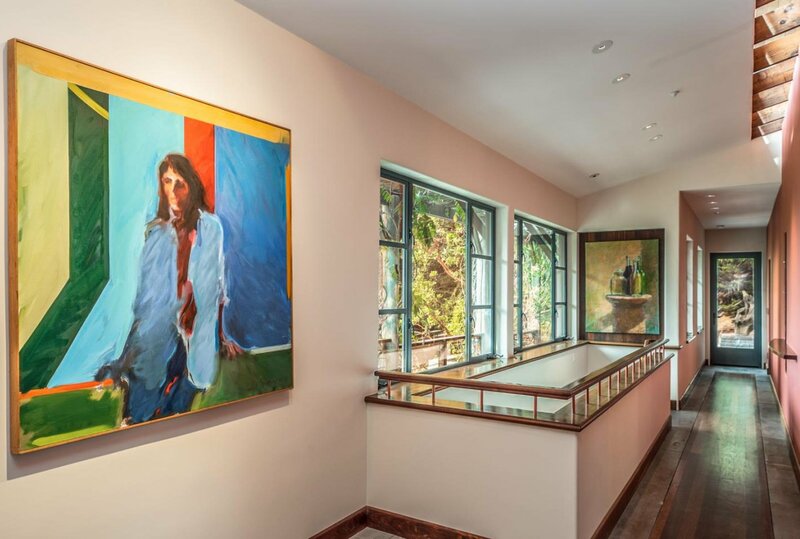 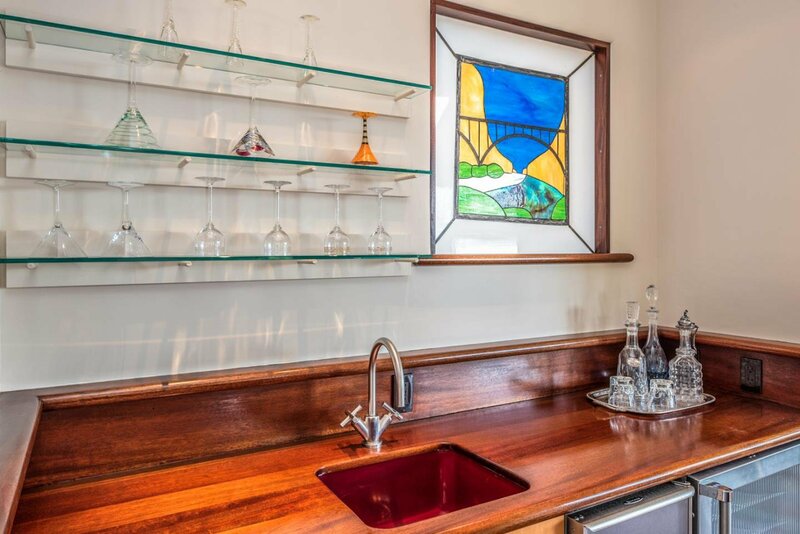 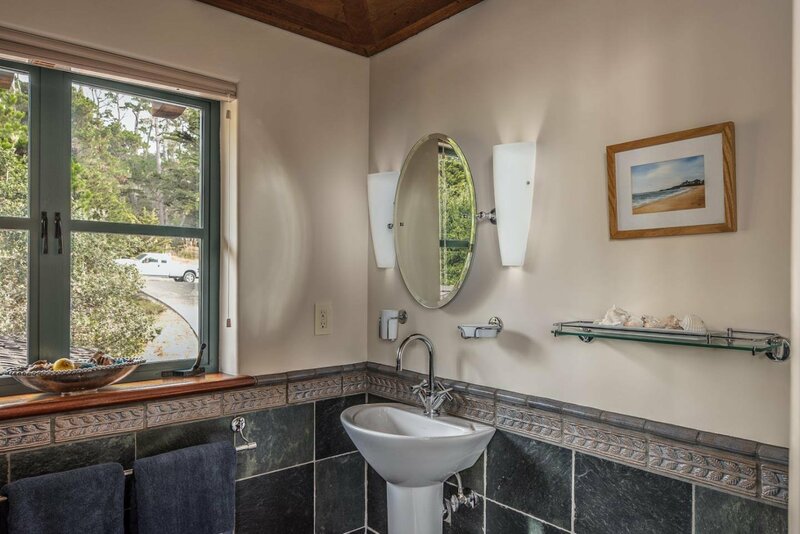 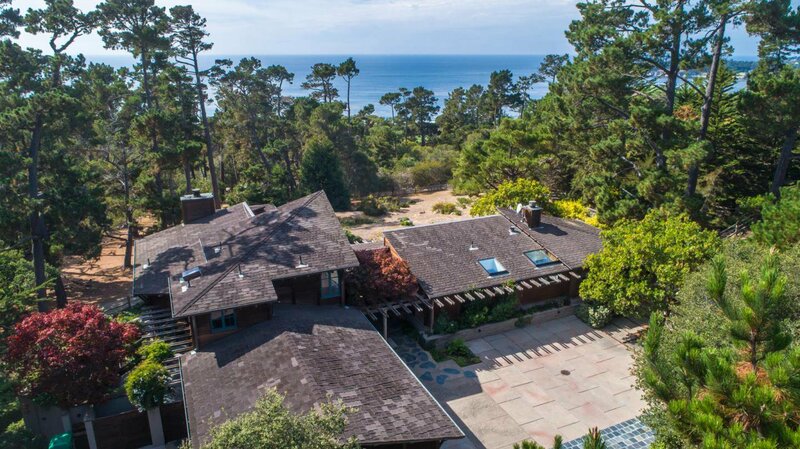 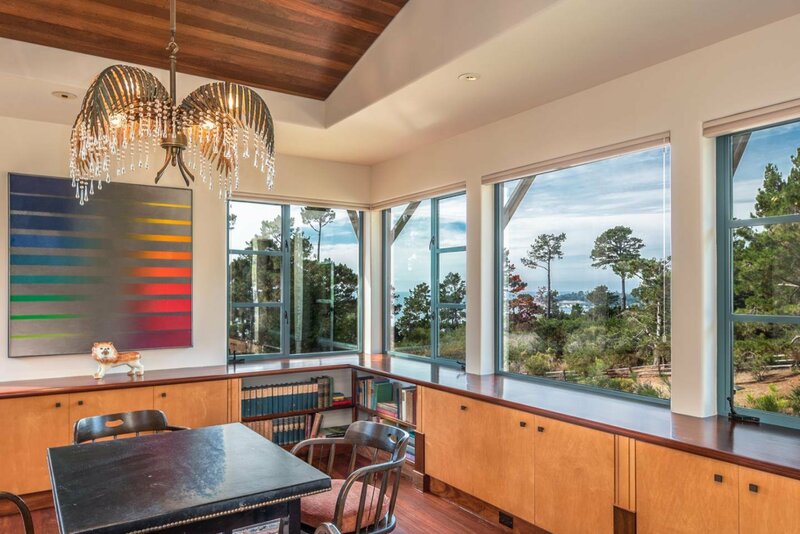 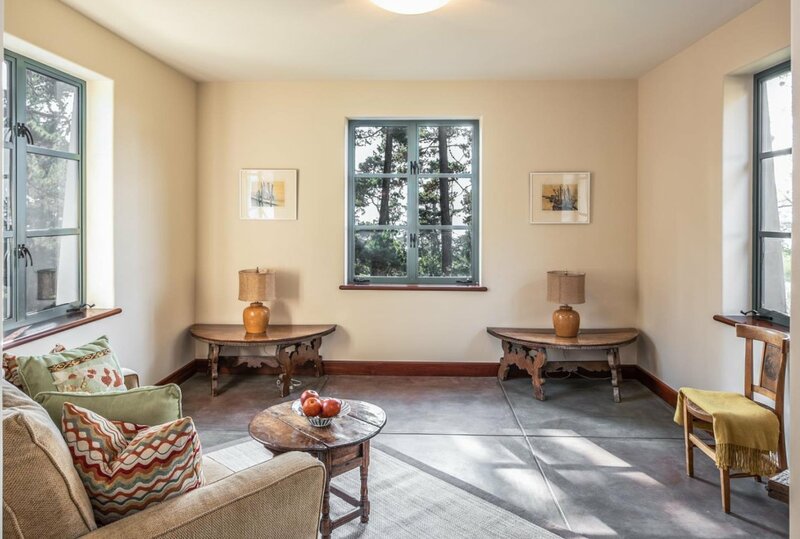 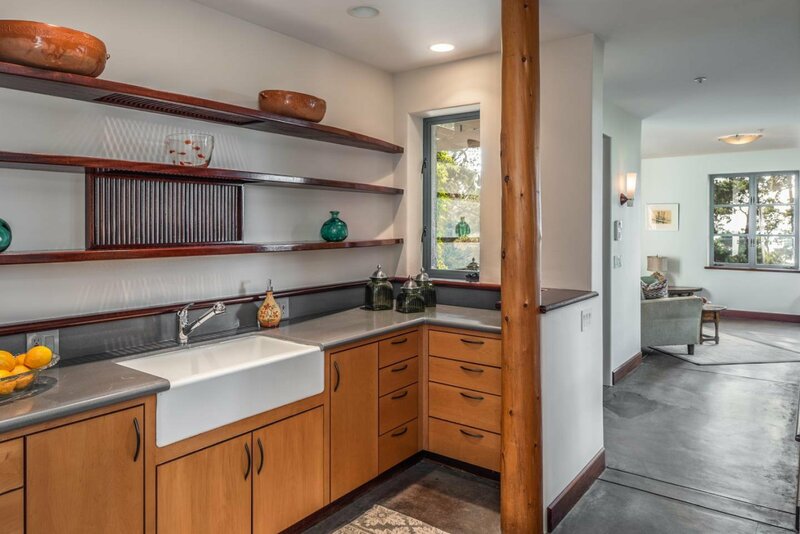 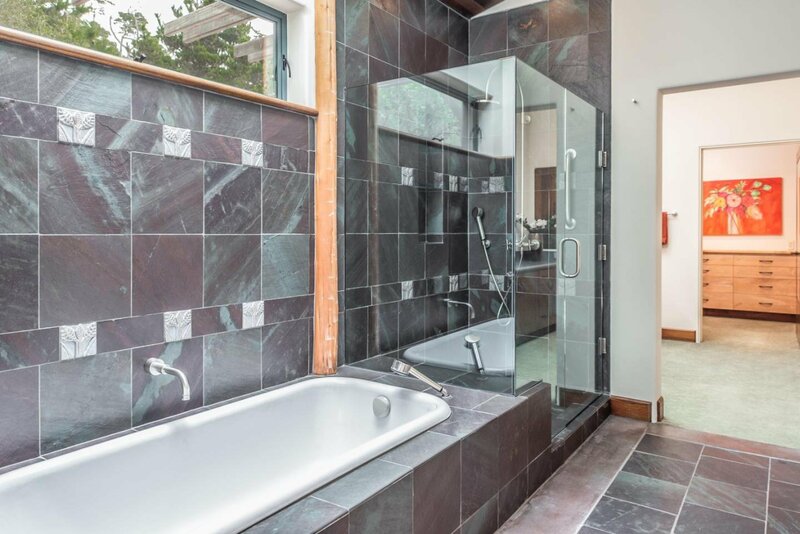 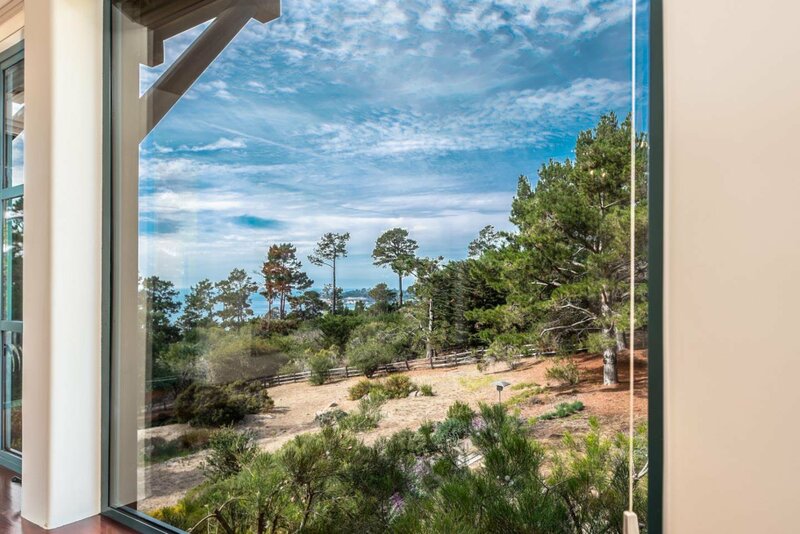 The home enjoys forested views of the ocean and Pescadero Point, and the extensive use of glass brings in light and enhances the feeling of living with nature. 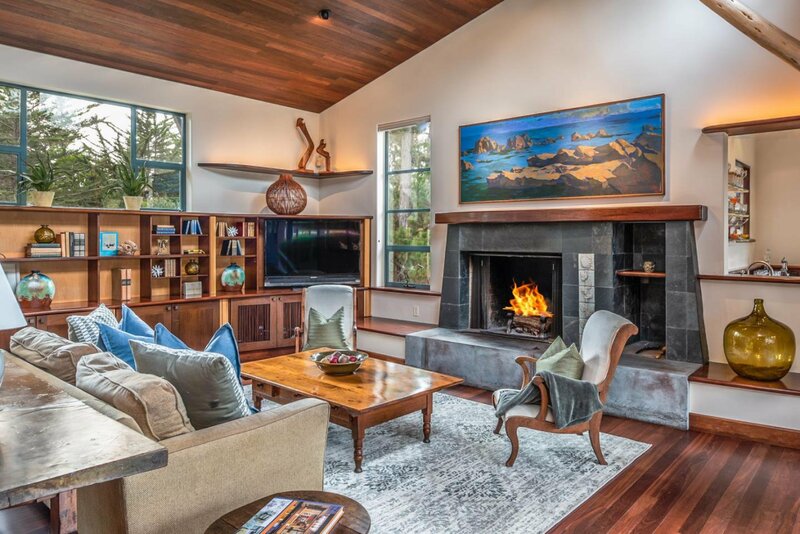 With 4 bedrooms, 4.5 baths, the main level features an open floor plan with a great room and spacious kitchen, beautiful wood floors, and high ceilings, custom fireplace, and built-in bookcases. 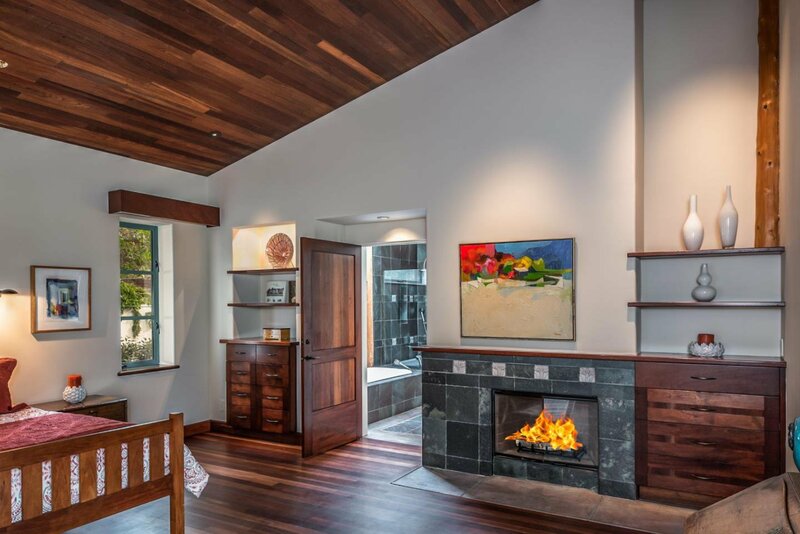 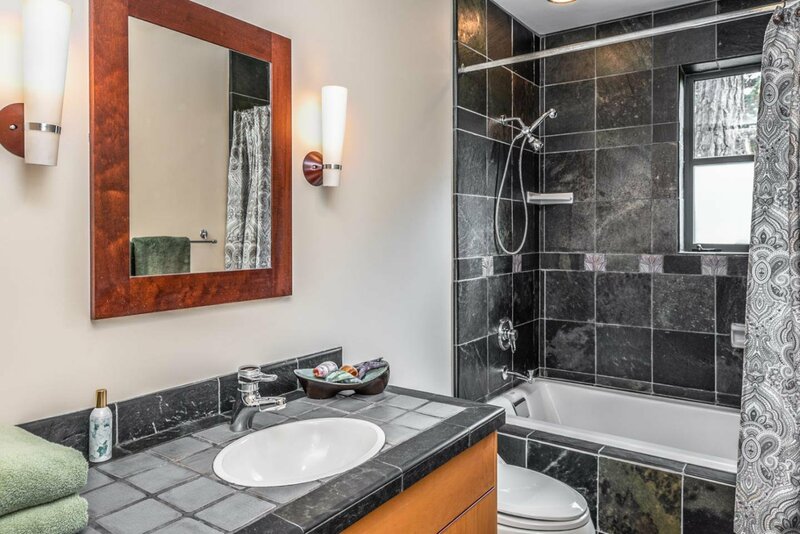 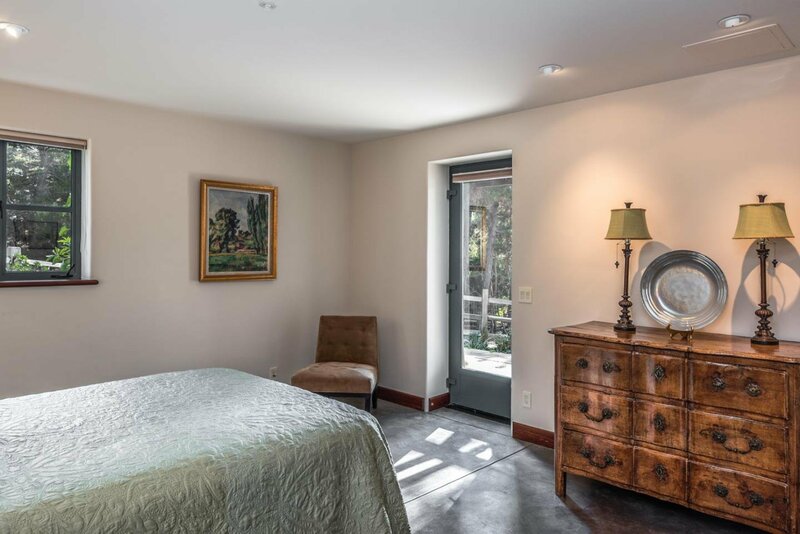 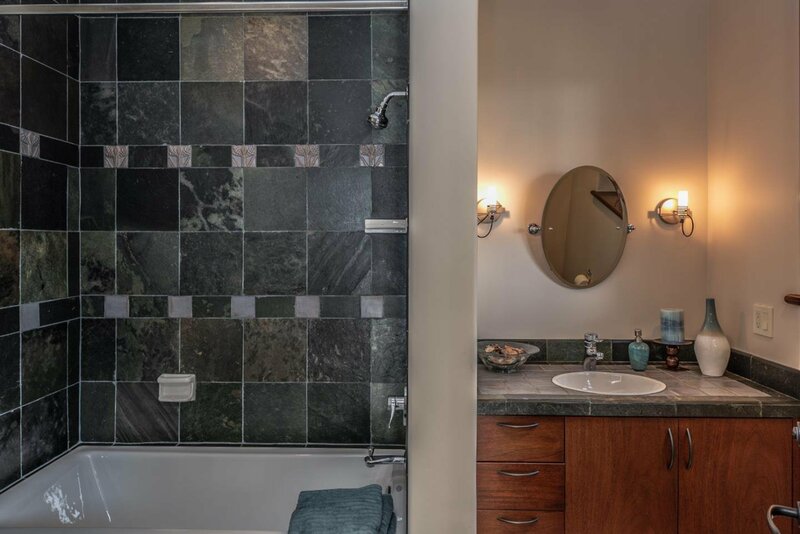 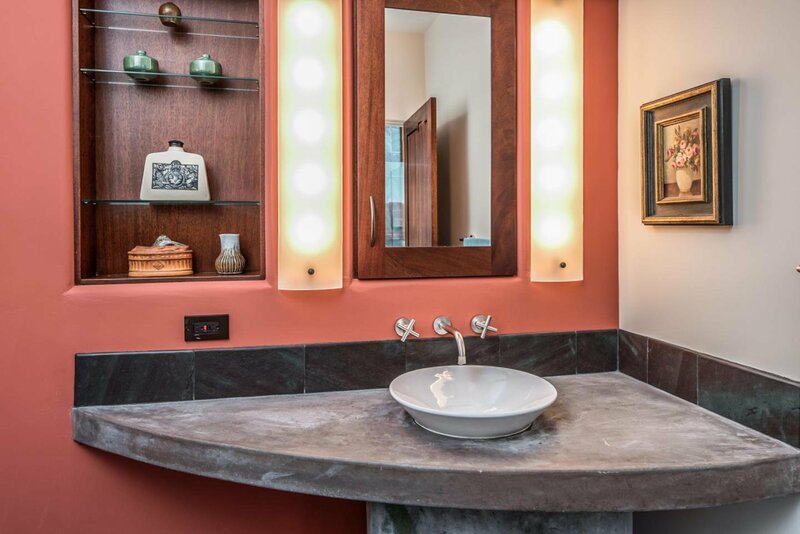 The master suite boasts a private fireplace and his-and-her closets. 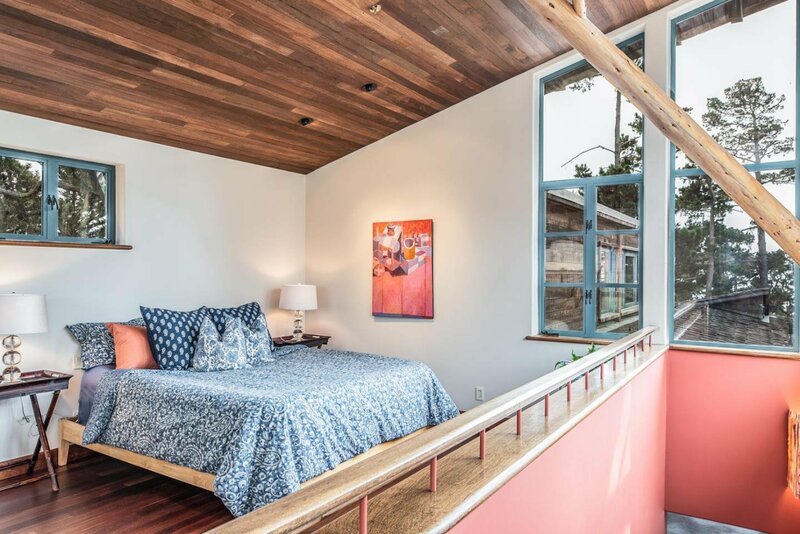 There is a private tree house like bedroom with bath and a separate guest suite, plus a 1-bedroom guest suite with living area, kitchen and bath. 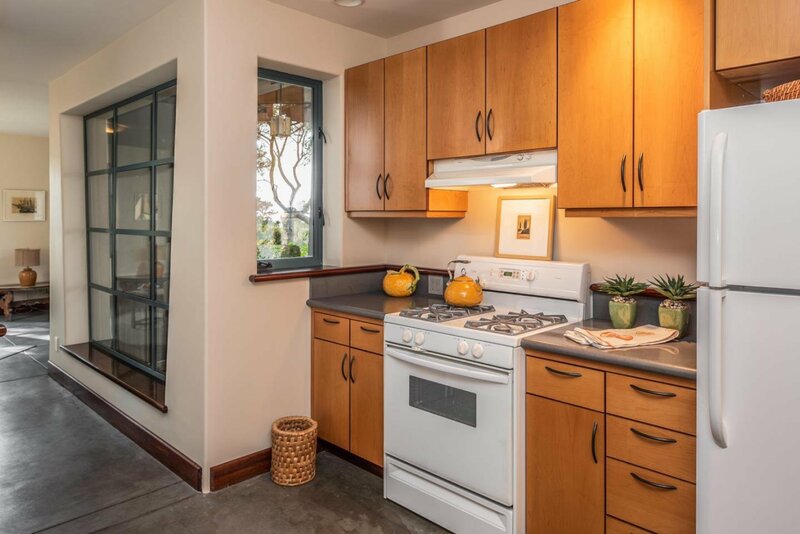 The expansive, grounds are complemented by a terrace and 2 private patios for comfortable outdoor living and alfresco dining.